Breakfast can be a tricky meal to get right. Ideally it should be tasty, healthy and filling enough to take you through to lunch, but also speedy and practical to fit into a busy morning. My current favourite everyday breakfast is this vanilla berry smoothie. It contains three servings of fruit and veg. It's low in sugar and contains a perfect balance of protein, healthy fats and slow releasing carbs. Not to mention being packed full of vitamins, minerals and antioxidants. 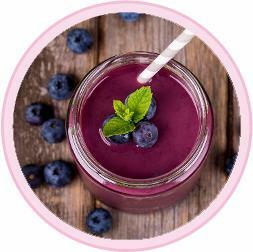 Whizz it up in a NutriBullet, smoothie maker, jug blender or even with a hand blender. It's delicious.